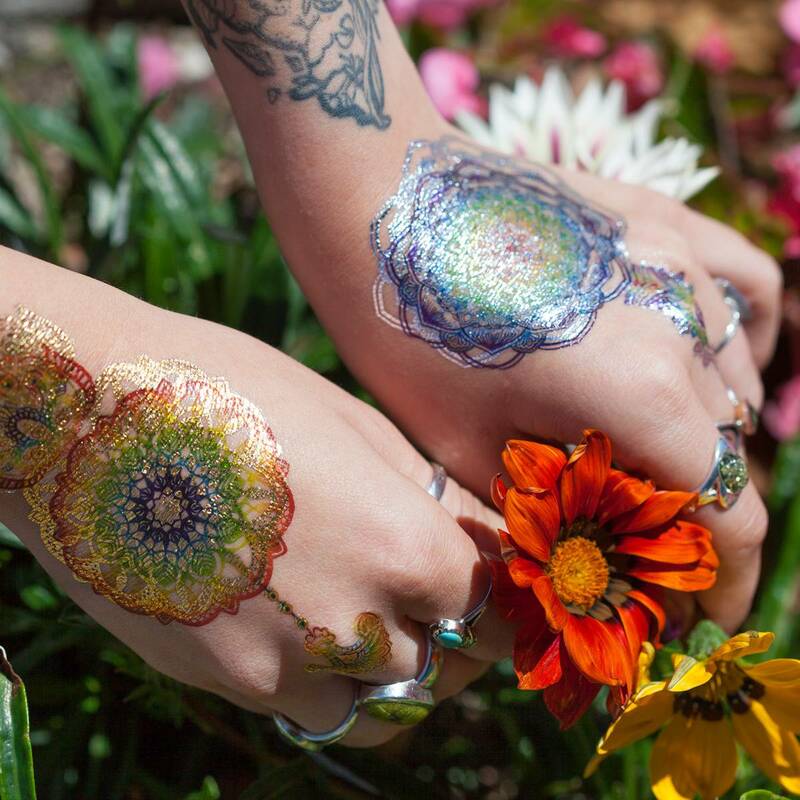 There’s something so beautiful and enchanting about this Rainbow Metallic Tattoo 2-Pack! If – like me – you choose not to commit to a permanent tattoo idea but enjoy the prospect of adorning your body with artwork, then these metallic tattoos are for you! 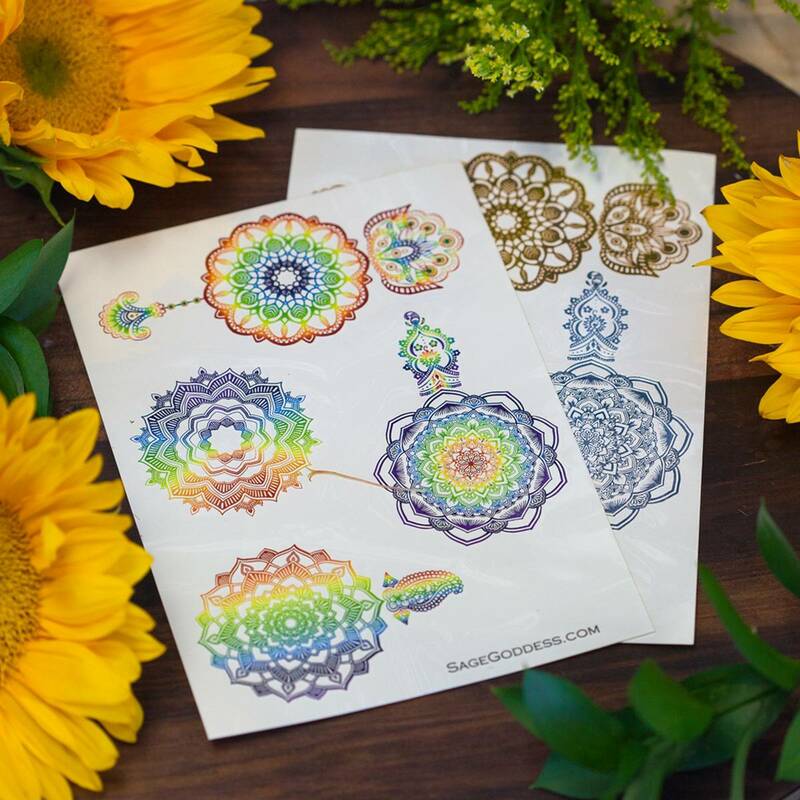 Wear these flash tattoos separately or together to create a beautiful metallic rainbow look – believe me, these tattoos will be the hit of your next party or goddess gathering. Jung referred to the sacred mandala as the totality of the self. Invite the wholeness of your entirety by wearing my metallic mandala tattoos. 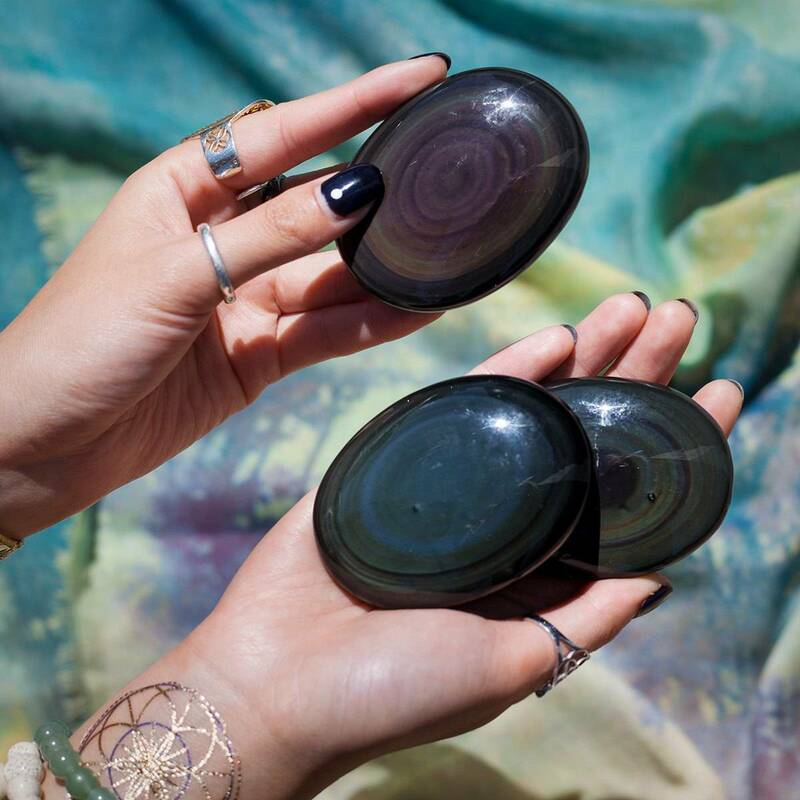 Find the peace of your beautiful resolve in these glittering adornments. 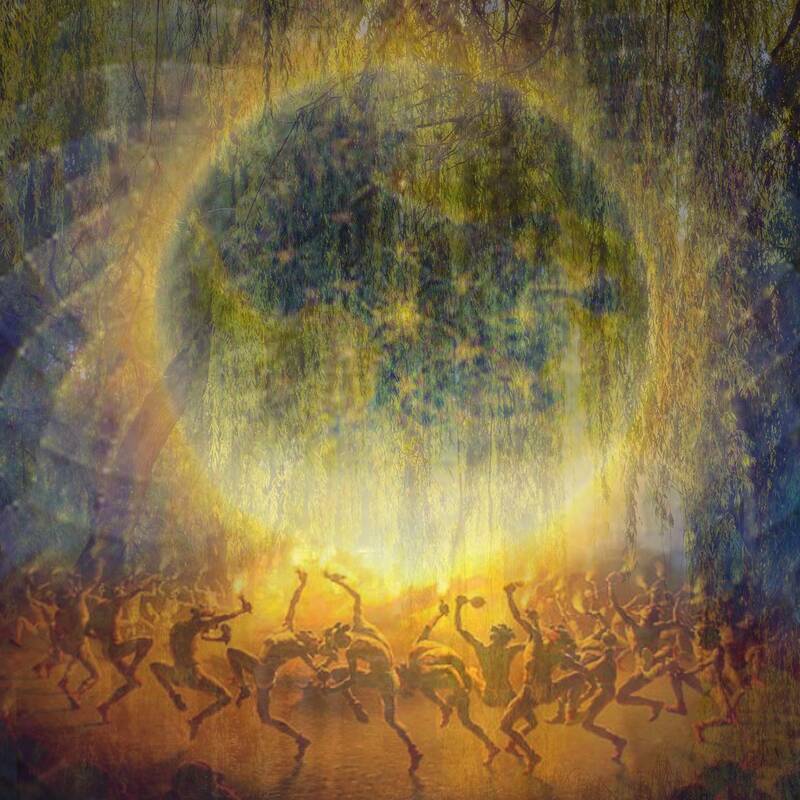 Nurture the spirit of your psyche as you anchor yourself with the abundance of cosmic order. 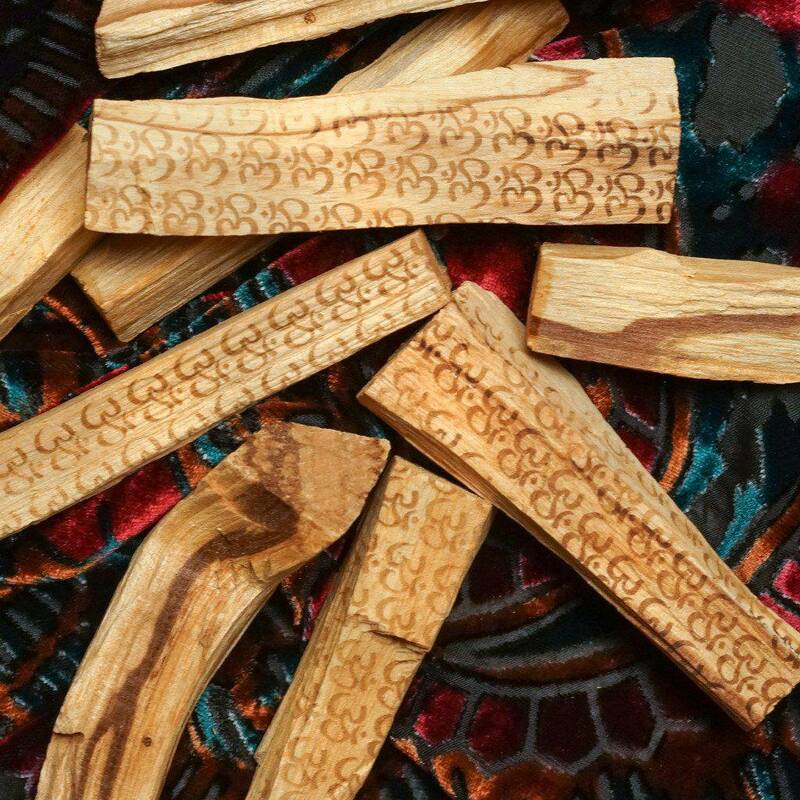 Note: These are non-toxic and safe for anyone. They come off easily with rubbing alcohol or soap and water. Clean your skin before applying. Peel off the plastic top coat, place face-down on skin and wet the back side of the tattoo with a wet sponge. Allow the water to soak through and hold in place for at least 30 seconds before peeling the paper away. Enjoy! This listing is for one (1) Rainbow Metallic Tattoo 2-Pack. Yours will arrive lovingly parceled for your enjoyment and delight.